Acoustic Taproom is the perfect place to relax with old friends, make new ones, or just hang out and listen to live music, and enjoy hard cider, mead, and cyser. Besides our menu of mead, cider, cyser and other drinks, we offer a variety of snacks. We also have a selection of menus from nearby restaurants and you are welcome to bring in outside food to enjoy with your cider or mead. We brew and serve our very own hard cider. 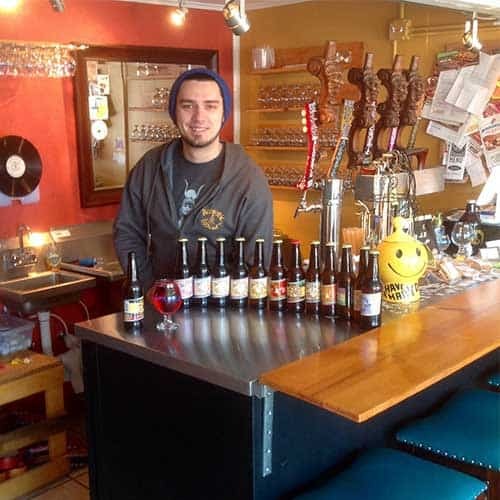 We are one of Northern Michigan and Traverse City’s oldest cider houses! Sample a flight or indulge in a full pour, either way you’ll love our cider! Yes, we serve mead! Mead is our first love and we’ve been selling mead longer than anyone else in Northern Michigan. We brew our own mead and have a wide variety of flavors and styles. Curious about cider or mead? 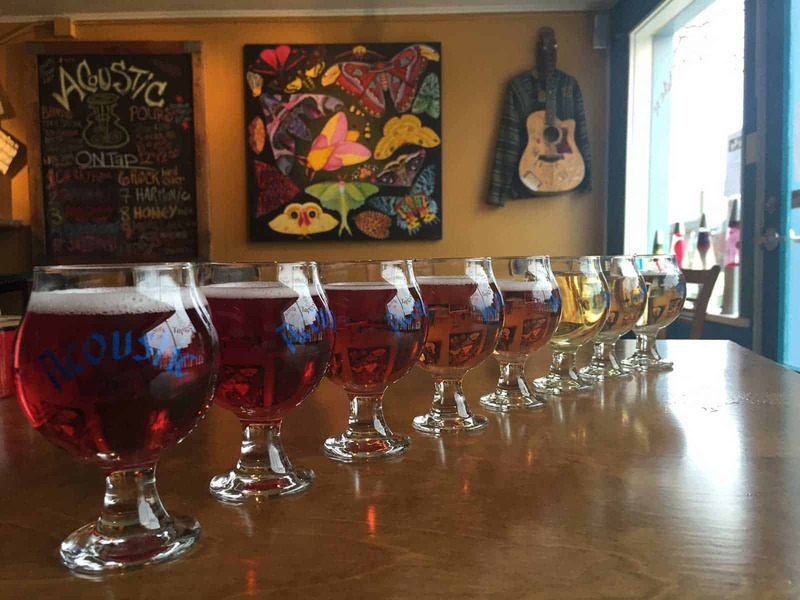 There’s no better way to discover our wide array of ciders and meads than sampling a flight. Similar to wine tasting, you can select meads or ciders from our menu and sample a variety. Once you've found your favorite, indulge in a glass or take a bottle or two home. Besides cider and mead (cyser too! ), we also have live original music. Check our events calendar for upcoming musicians and other events and entertainment. We also have a selection of board games, books, and magazines too! There’s always something happening at the tap room! Happy hour 5-7 and all day Wednesday.